This entry was posted in Recitals on 28/10/2016 by David. 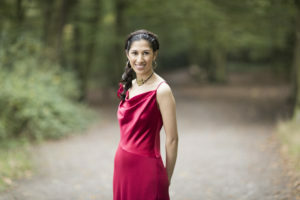 The 74th season continued with a recital by the British born pianist, Mishka Rushdie Momen who gave an enthusiastic audience a very good evening. 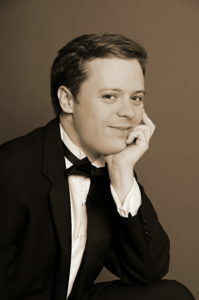 Mishka appeared by kind permission of The Countess of Munster Musical Trust, a scheme which helps young musicians and supports them in their early career. Already an accompished performer, Mishka has played in the Wigmore Hall, The Purcell Room, The Royal Festival Hall and many countries abroad. The evening started with an elegant performance of the Mozart Fantasia in C minor, K475 and was followed by the Janacek Sonata No.1 which was a good contrast in style. The first half finished with a good performance of the Beethoven Sonata, op.101 in A major which was well received by an appreciative audience. After the interval we heard a very thoughtful performance of Waldszenen, op.82 by Schumann, a composer who is not always easy to interpret but this was good. The recital ended with a rousing Wanderer Fantasie, D.760 by Schubert, played with an amazing power but balanced by the thoughtfulness of the quieter passages. 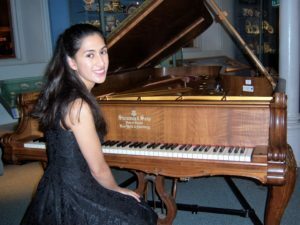 Mishka Rushdie Momen is a pianist with great talent and the Society is pleased to acknowledge the financial support of the Countess of Munster Trust. This entry was posted in Recitals, Reviews and tagged Beethoven, Janacek, Mozart, Schubert, Schumann on 19/10/2016 by David. This entry was posted in Recitals on 02/10/2016 by David.